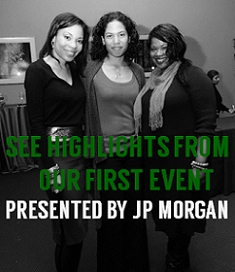 CHARLOTTE, NC — The groundbreaking exhibition Giving Back: The Soul of Philanthropy Reframed and Exhibited will open in celebration of Black History Month on February 20 in the James B. Duke Memorial Library at Johnson C. Smith University. The traveling exhibition will explore the African-American philanthropy experience and giving traditions grounded in faith, mutuality, responsibility and social justice. The exhibition will illustrate Black philanthropy through highly innovative presentations, including luminous photographic prints on metal, video, iPad kiosks and interactive digital apps featuring music, poetry, photography, narratives and more. It will be comprised of over a dozen vignette stories and more than 50 black-and-white images that depict Black philanthropy across generations. 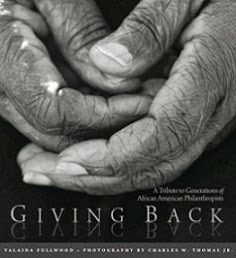 The images and stories composing the exhibit are from the book that inspired the exhibition, “Giving Back: A Tribute to Generations of African-American Philanthropists” by author Valaida Fullwood and photographer Charles Thomas. Monika Rhue, library director at JCSU, serves as project manager for the exhibit’s grant-funded tour, and Jen Crickenberger is the exhibition designer. “Centuries-old cultural customs and beliefs about giving, though rarely acknowledged as ‘philanthropy’ in African-American communities, have long been an integral and transformational force in lives and communities throughout American society,” Fullwood said. The exhibition will be on display through mid-April at JCSU’s library before traveling for at least two years to Historically Black Colleges and Universities (HBCUs) and cultural institutions across the South and other regions. In addition to the exhibition, corresponding public programs will allow groups to explore a broad range of topics related to philanthropy, including HBCU giving, the influence of faith on generosity, the influence of identity and culture on giving, and collective giving. To schedule a guided tour and learn more about programs and educational forums, email the campus library at Library@jcsu.edu. Professionals working in the field of philanthropy will speak with students about career options and paths. The panel discussion will be moderated by Meka Sales, Program Officer, The Duke Endowment and a member of New Generation of African American Philanthropists. This discussion will center on how hip-hop artists and entertainers give back to communities in various ways, offering a way for students to look at how their time, talent and treasure can impact their community right now and in the future. The discussion will be moderated by Kwain Bryant, founder, program developer and training specialist with Empowerment Exchange. Featuring guest speaker A’Lelia Bundles, author and great-great-granddaughter of iconic entrepreneur and philanthropist Madam C.J. Walker; musical artist Tyrone Jefferson and Sign of the Times; gallery tours; book signings; savory and sweet treats; and myriad of performances. RSVP. After events on opening day, a series of scheduled programs at venues across Charlotte will accompany the exhibition during its local run. Catherine McElvane, the exhibit’s Cultural Educator, is responsible for program development and coordination. During Charlotte’s college basketball tournament week this month, the project will host the program below. Moderated by Thomas Joyner Jr, President and CEO, Tom Joyner Foundation, the discussion aims to generate fresh ideas and bold strategies for bringing resources to strengthen Historically Black Colleges and Universities (HBCUs) in a new era of philanthropy and donor engagement.